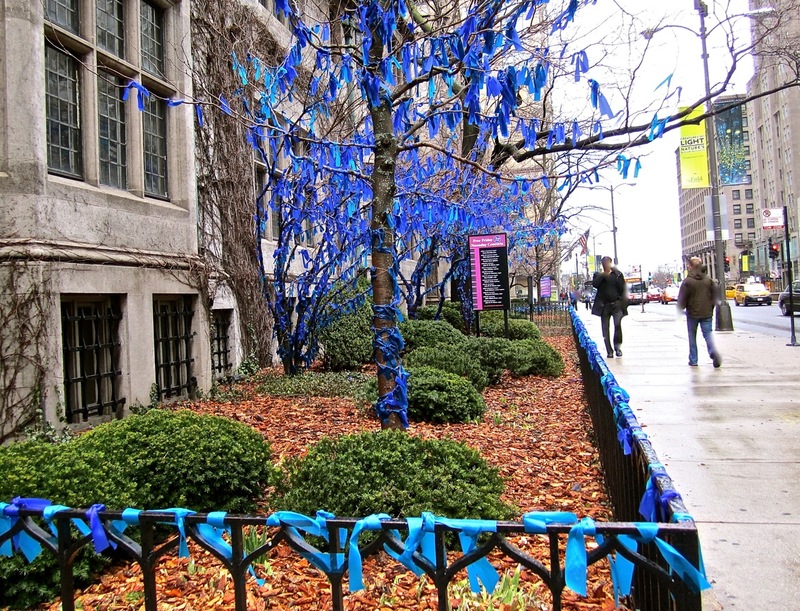 A repeat post from April 2013. . .
Our two days in Chicago were windy (of course) and occasionally damp, and very few trees had even begun to leaf out. 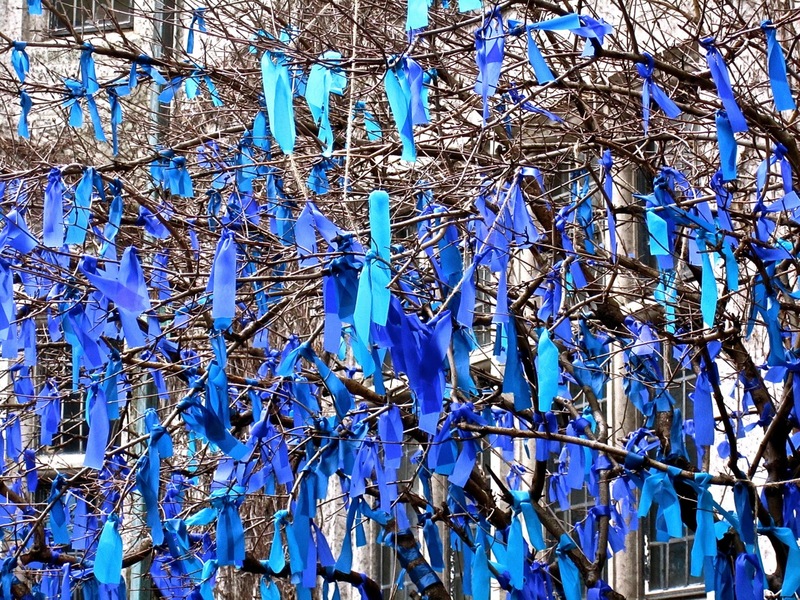 But I was taken by this arboreal display of blue outside the Fourth Presbyterian Church on Michigan Avenue. 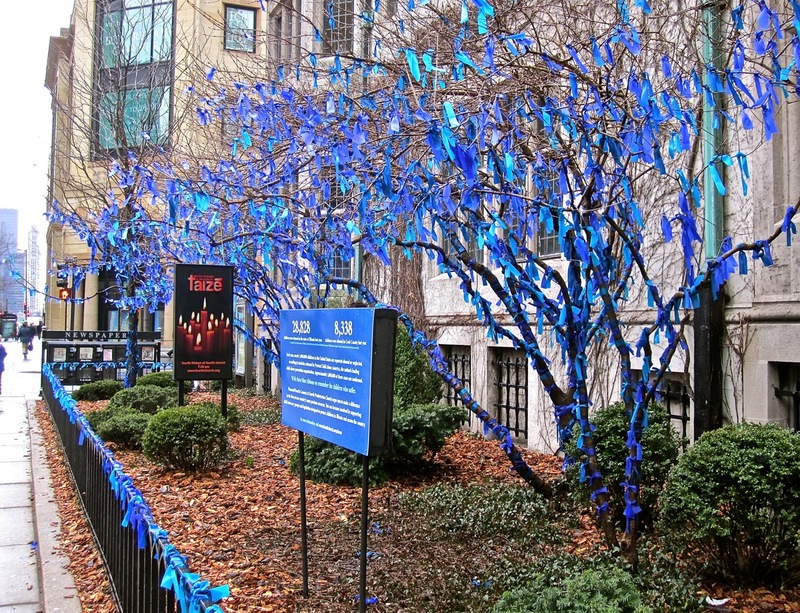 The ribbons were tied in the trees and along the fence in memory of the 28,828 children of Illinois who were abused last year. April is Child Abuse Prevention Awareness Month in the U.S. You can get more information here. 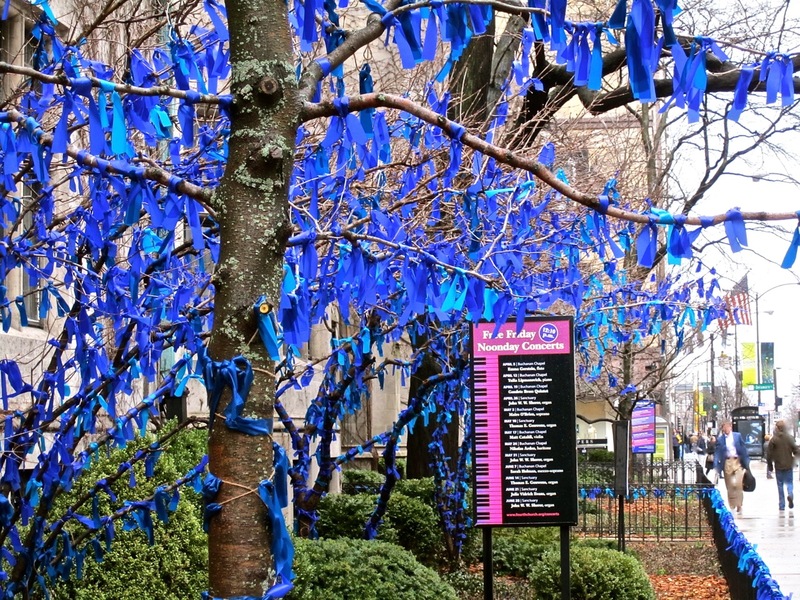 ADDENDUM: The blue ribbons are in the trees outside the church this year (2017) as well. frail azures fluttering from night’s outer wing. . .